The 20 ‘New Photographers’ of the International Photo Festival Leiden are on exhibition at Photoville New York (18-28 september). The exhibition takes place in a special IPFL container. IPFL was represented by its founders Hans Gillis and Pierre Luiten. Also Cindy Baar, one of the IPFL 2014 photographers, traveled to New York. The IPFL was one of the 6 Dutch contributions to Photoville. Others were the group exhibition Alive curated by Aloys Ginjaar and Astrid Verhoef, Lost in transition by Foto Festival Naarden and solo exhibitions Living with Mies by Corine Vermeulen and Tunnel people by Teun Voeten. Teun will also come to Leiden to show his work about the homeless in New York and have an artists’s talk. 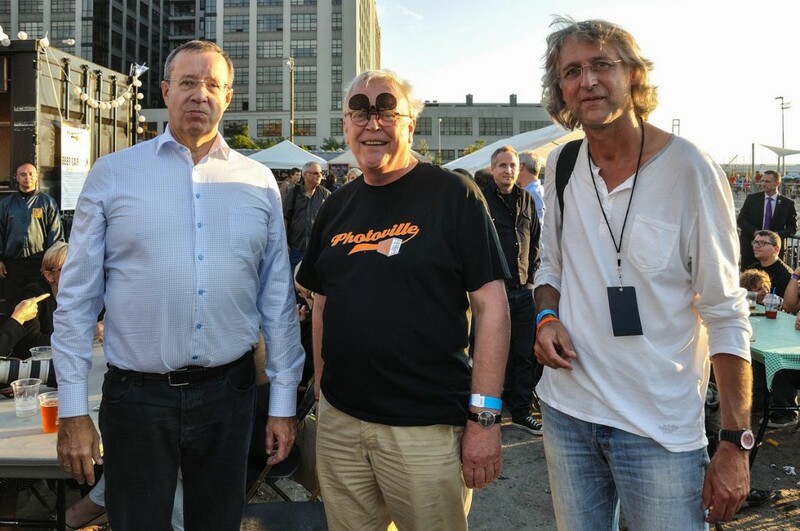 The Dutch Consul-General in New York, Rob de Vos, opened the Dutch contributions at the Dutch Party on Sunday. In his speech, he mentioned that photography is a key topic in Dutch cultural policy in the US (YouTube). After his speech, he visited the IPFL container. He praised the low threshold and the large digital stage we are offering the new photographer internationally. The day before, the Dutch representation already had a meeting with the President of Estonia. Apart from these VIP’s, the IPFL container had thousands of visitors, many of them professional photographers and curators. They praised the presentation and excellent collection of the IPFL. 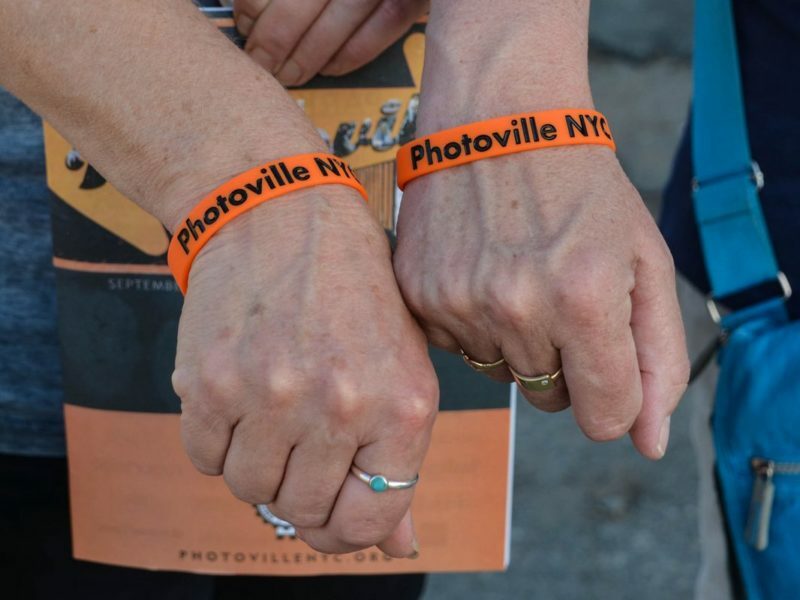 All together, Photoville was a first succes for our New Photographers! Photo’s: Pierre Luiten and Aad Kriek. ← Selection ‘New Photographers’ is announced!